Brazilian health officials have discovered active Zika virus in urine and saliva samples, the Associated Press reports. While it isn’t clear at this time whether Zika is communicable through these bodily fluids, the prospect raises the ominous specter of the Zika epidemic spreading even more rapidly. Zika virus is typically transmitted through mosquito bites, but it can be communicated through bodily fluids as well, as illustrated by the first documented case of sexually transmitted Zika in Dallas on Tuesday. 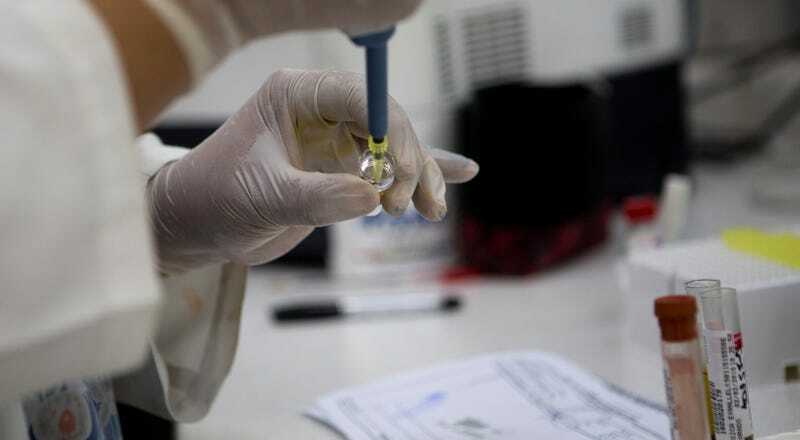 Now that active Zika has been found in several other bodily fluids, health officials say extra precaution should be taken with pregnant women, in whom the virus has been linked to the birth defect microcephaly. Expectant mothers have already been asked to avoid visiting countries where Zika is present. In a press conference in Rio de Janeiro on Friday, Brazilian health official Paulo Gadelha said that the discovery does not yet merit additional health recommendations. But doctors will continue to study it closely in the days ahead, and meanwhile, everyone is remaining vigilant.